Our April 2017 Artifact of the Month is a 1937 Draper & Maynard NG2 nose guard, an unusual fibre face protecting device with a short 1-year production run. Nose and face protection for football players first appeared in 1893 with the introduction of Morrill's vulcanized rubber nose mask. The rubber nose mask would remain the standard face protective device until fibre-reinforced leather masks and nose protector head harnesses appeared in the mid-to-late 1920's. 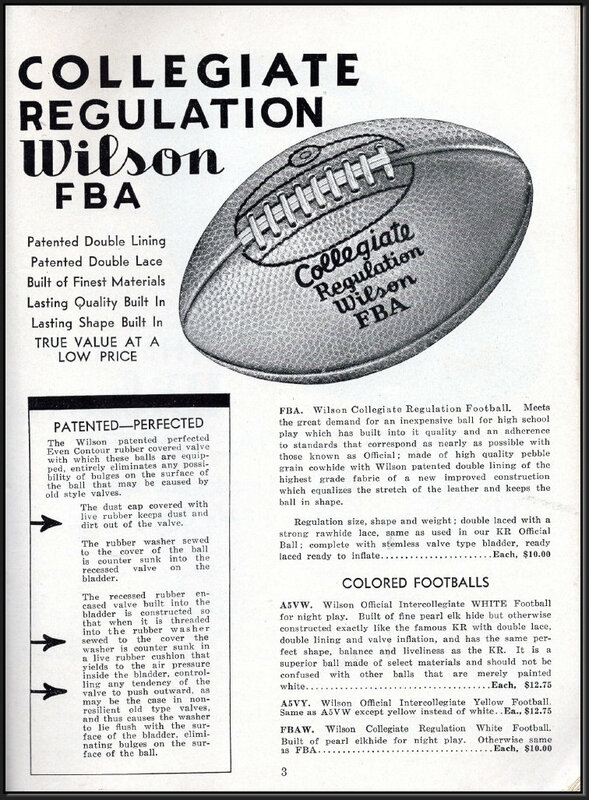 By the 1930's the stiffness and durability afforded by fibre reinforced football helmets helped usher in the era of the helmet-attached facemask. Rubber-coated, steel face protectors were offered by sporting goods companies as special add-ons to helmets beginning in the late 1920's. These steel masks offered significant advantages over the rubber and leather nose as the apparatus did not touch the face, thereby limiting injury to the cheeks and teeth. However, the steel masks added weight to the football helmet that affected range of motion and hastened fatigue. The Draper & Maynard NG2 nose guard was a standalone, felt-padded, fibre mask that was held onto the head with elastic straps, similar to a catchers mask. First introduced in 1937, D&M touted the NG2 as "featherweight" due to its all-fibre construction. While this reduced the weight of the protector, the design curiously encorporates a wide, single fibre protector down the center of the face that must have substantially limited a player's vision. D&M declared bankruptcy before the end of 1937, halting production of this unusual face-protecting device. There's no record of any other manufacturer picking up on the design. By the end of the 1930's, lighter weight steel facemasks finally made the football nose mask obsolete. Over the past 2 years we've featured a variety of nose guards that have come to market, including a D&M NG1 that was discovered in May, 2016.